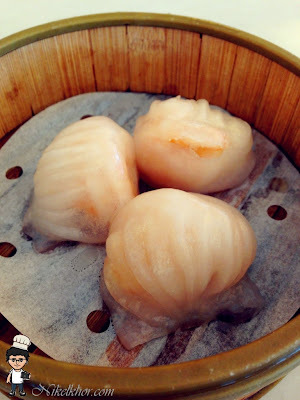 Trying to look for excellent dim sum restaurants in Johor Bahru other than Dragon-i? 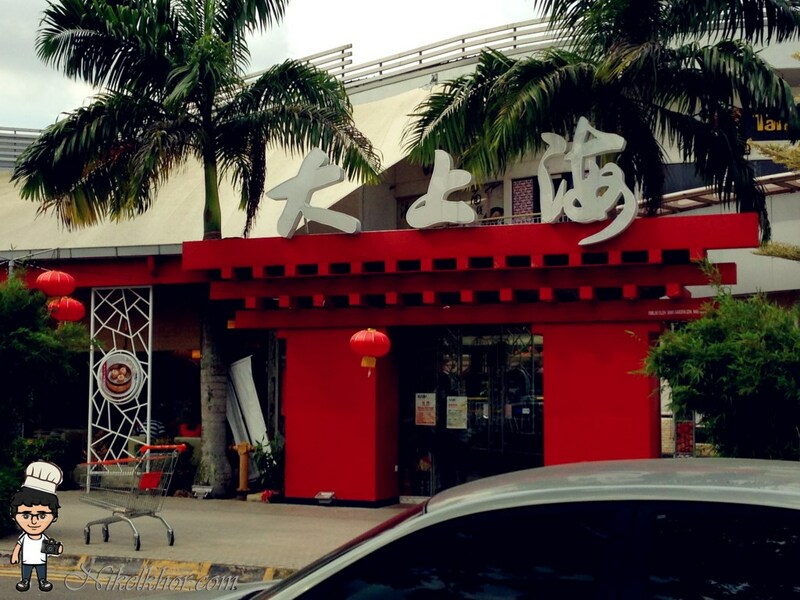 D'Shanghai which is located adjacent to Sutera Mall is definitely one of the better choice. The oriental exterior in red and big Chinese words on the top of wall which means "Big Shanghai" easily attract people's attention. 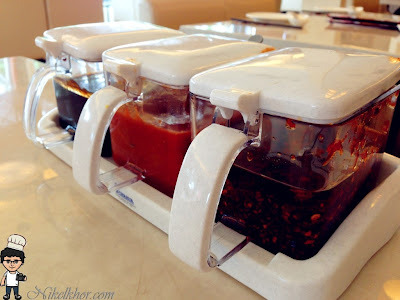 The choices of condiment to go along with your Dim Dum- black sweet sauce, chili sauce and chili oil. The cuttlefish paste together with fresh whole prawn is wrapped in beancurd skin, deep fried to a perfect golden brown colour and served with mayonnaise. 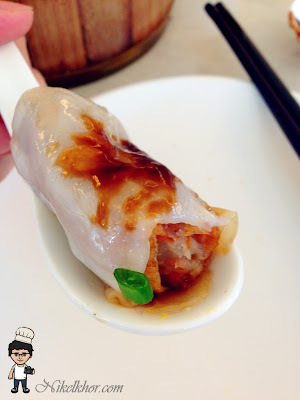 It does not disappoint me- fresh, crunchy, flavourful! 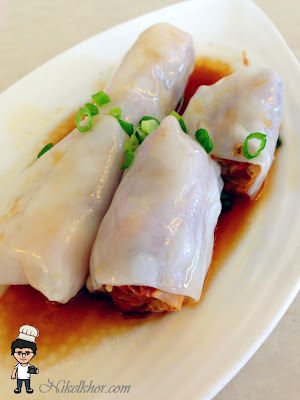 This Rice Rolls are highly recommended by the netizens, a layer of rice sheet (chee cheong fun), a layer of beancurd skin and with the yam and carrot paste as filling. 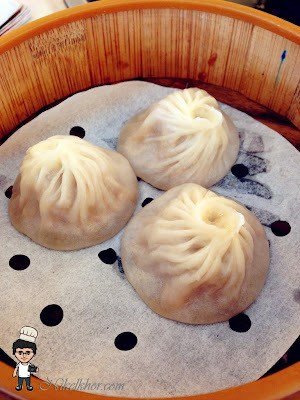 We ordered this due to its popularity and to cure our curiosity, yet we don't find it really tasty except being unique and creative. A close up to the famous dim sum. 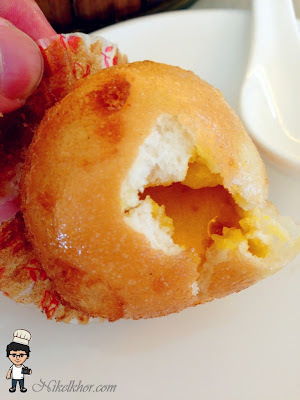 This is one of the best har kaw that I have tasted, it is really juicy inside. Like all Shanghai Dim Sum restaurants, D'Shanghai is also famous with its xiao long bao (mini broth bun). The bun skin is extremely thin and we can easily look through the contents of the bun! It tastes good but still cannot beat Ding Tai Fung's Number 1 in my heart. 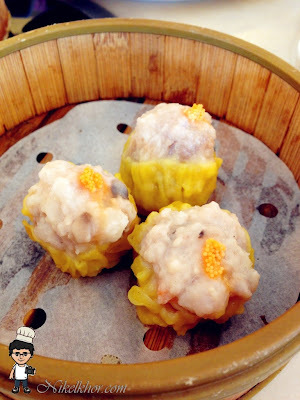 It is labelled as "King of Siew Mai" by the restaurant. 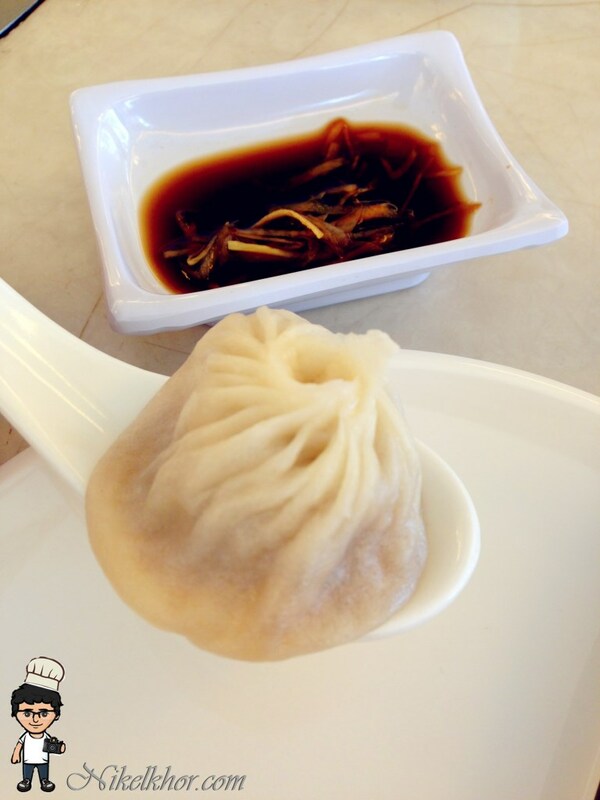 The ingredients used are indeed generous and worth for the price. Being bored of having the normal steamed golden lava bun? 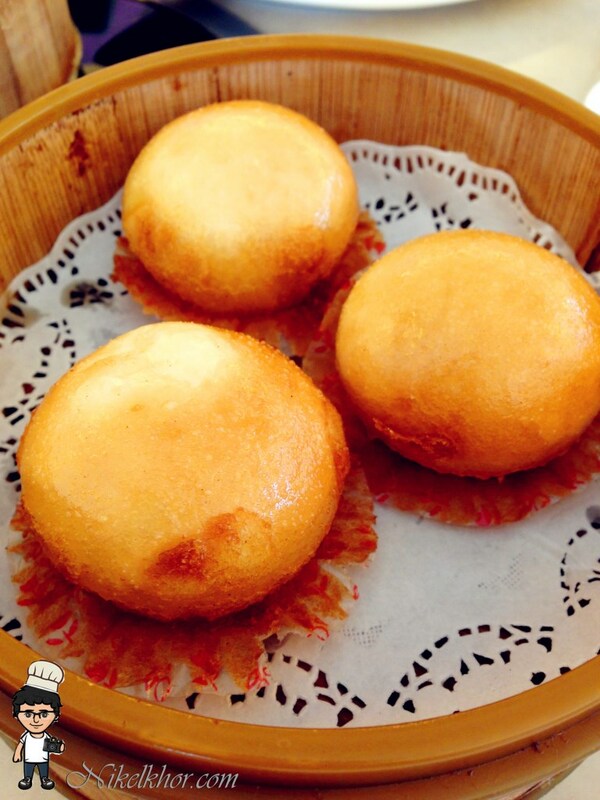 D' Shanghai offers their creativity to the diners by introducing deep-fried version of golden lava bun. 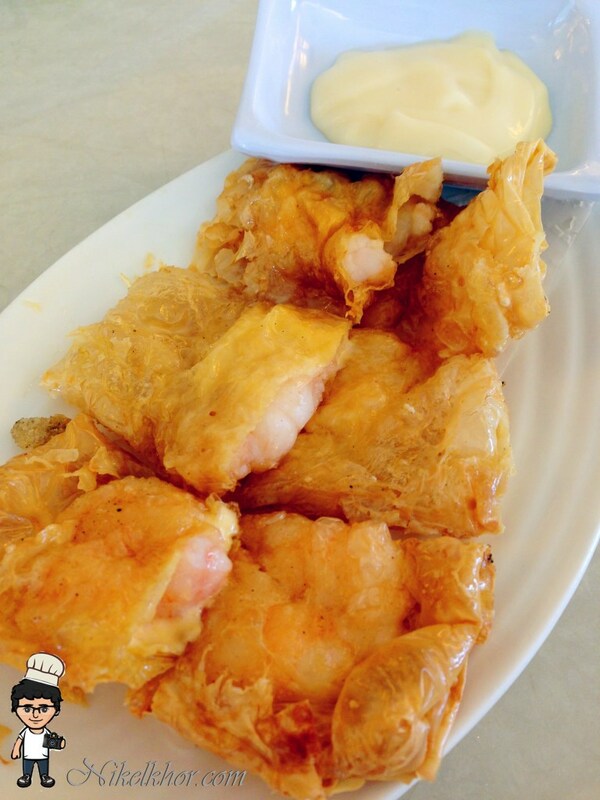 With a crispy outer skin, it definitely provides layers of different biting texture. 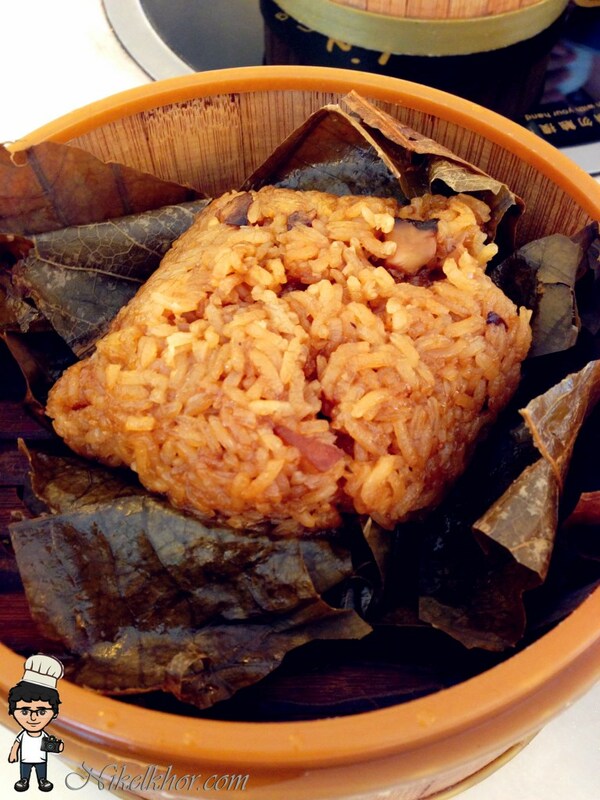 Last but not least- lotus leaf rice. The glutinous rice is cooked with preserved meat and dried mushroom. The fragrance of the lotus leaf is well-mingled with the rice and the seasoning is just to our taste, not too salty.